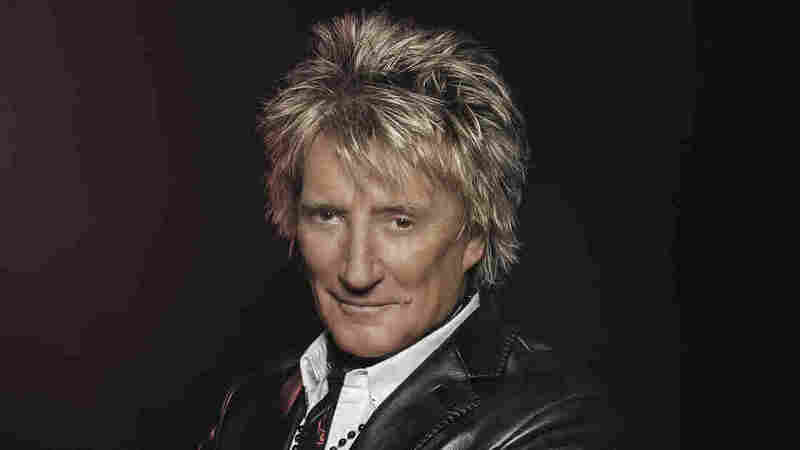 Rod Stewart Picks Up The Pen At age 70, after a long affair with soul standards and the American Songbook, Stewart has warmed up to writing his own material again. He joins Scott Simon to discuss the new album Another Country. Rod Stewart's new album, Another Country, is out now. Even at 70, Rod Stewart has a singing voice unlike any other. Already one of the best-selling musical artists of all time, in the past 15 years he's become well known as an interpreter of songs from the past, in particular the American Songbook. But recently, he's grown ever more at ease with writing his own material once again. "I really thought the gift had left me — I thought the gods had taken the art away from me, never to return," Stewart says. "I'm enjoying the process of songwriting, probably for the first time in my life. I used to hate it when I was with The Faces, and all the way through the '80s and '90s. That's the only part of the business that felt like a job." Stewart's latest album is called Another Country, and he joined NPR's Scott Simon to talk about it. Hear the rest of their conversation at the audio link.